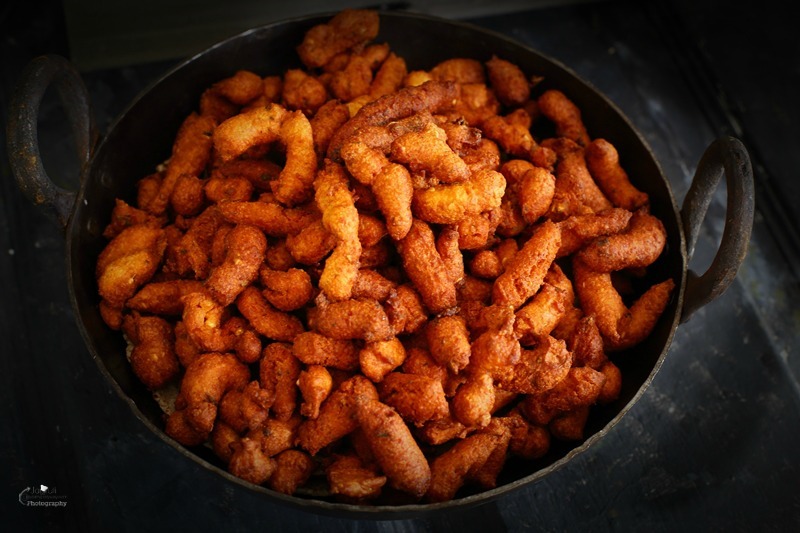 Fulwadi, are deep fried crispy, spicy ,delicious, traditional and very popular Gujarati farsan ( savoury snack ). Fulwadi is something which is usually served as farsan in traditional Gujarati thali along with Churma na Ladwa, Gujarati Daal, Bateta nu Rasawaru Saak ( Gujarati style potato curry ), Vaal nu saak ( Lima Beans Curry ) and plain rice, absolutely delicious meal to die for. An irresistible menu which is rare to see nowadays, unless you visit rural areas of Gujarat, where more importance is given to so many rituals and customs. Although Fulwadi and Churma Na Ladwa combo is a popular choice, I have seen Boondi Ladoo and Fulwadi combo too. While fusion and innovative snacks and platters are flooding in the market like Chocolate sandwich, Bhakhri Pizza and Chinese Bhel, traditional snacks like Fulwadi are rare to see in Gujarati menu. Fulwadi, cannot only be enjoyed as a farsan in a thali but also be eaten as snack with green coriander and tamarind chutney, plain yogurt or with Masala Chai, nothing can beat that enchanting taste ! 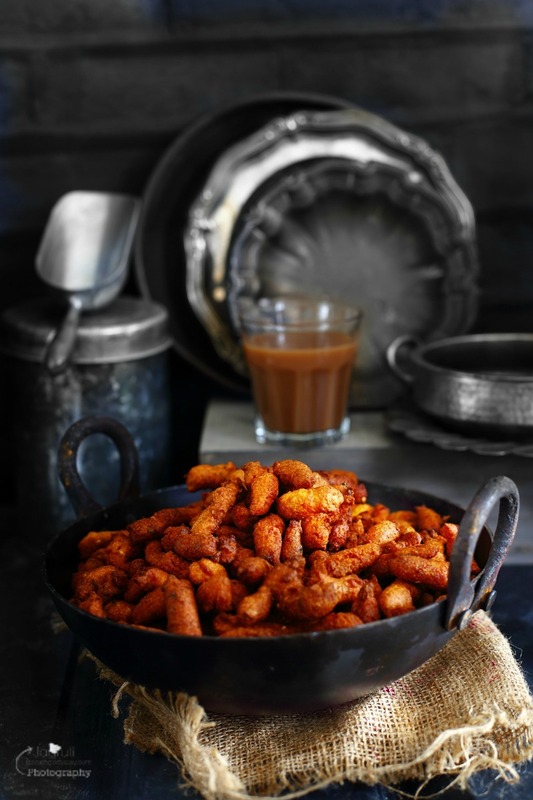 In Gujarat, you can find Fulwadi at every nook and cranny, I have not seen in the UK yet, but nothing can beat the taste and quality of these homemade Fulwadi, that you can churn out effortlessly at home. 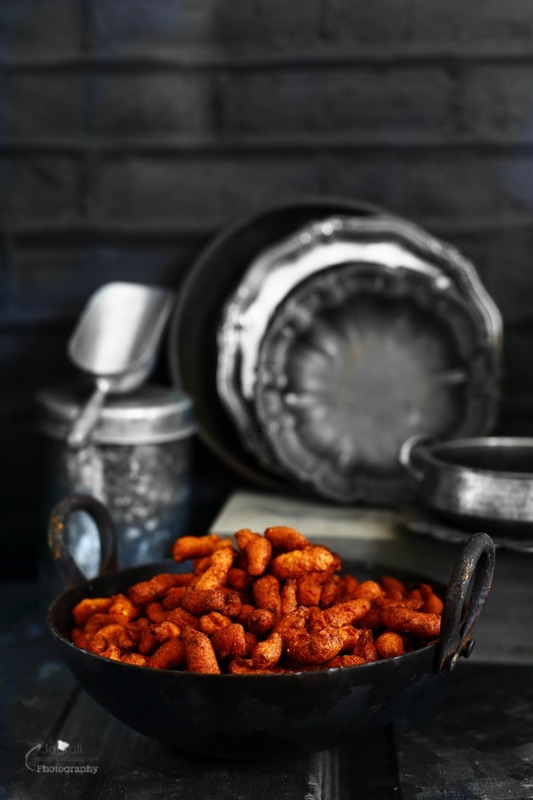 Deep fried gram flour rolls which are flavoured with Indian spices and masalas. These irresistible Fulwadi which come together in short time, as long as you have 'Fulwadi No Jaro' ( a special perforated or slotted spoon with big holes ). These fulwadi can easily stay fresh at room temperature if store in a airtight container. If you haven't tried yet, please do try I am sure you'll love it. Fulwadi should be crispy outside but soft inside. 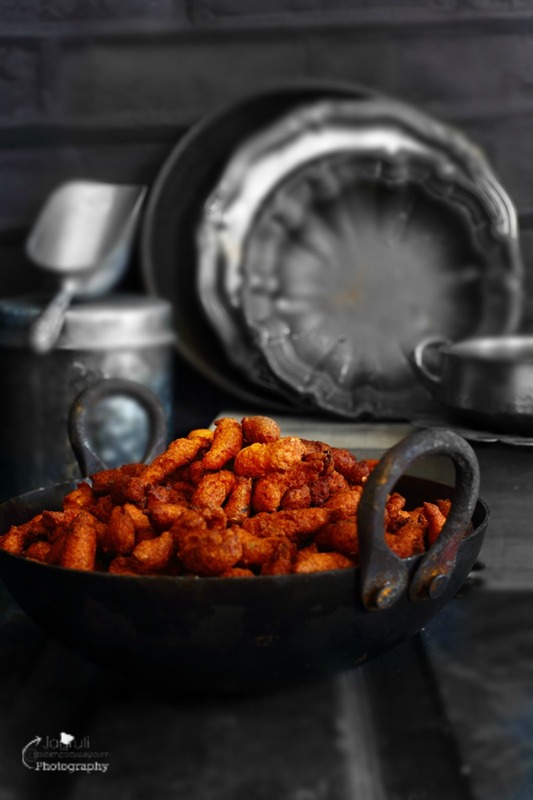 Fulwadi, are deep fried crispy, spicy and delicious traditional and very popular Gujarati farsan ( savoury snack ). Add salt, sugar and red chilli powder in a yogurt and mix well. In a big wide plate combine all the flours,sesame seeds, fennel seeds, black pepper, coriander seeds, oil (moin) and dry fenugreek. Add yogurt mixture into the flour mixture and prepare a soft dough. Mix well, cover and leave it aside for 15-20 minutes. Once you are ready to make fulwadi, heat oil in a kadai. Apply or spray little oil on the fulwadi jaro, add soda in the dough and mix well. Once oil is heated properly, keep heat on medium. 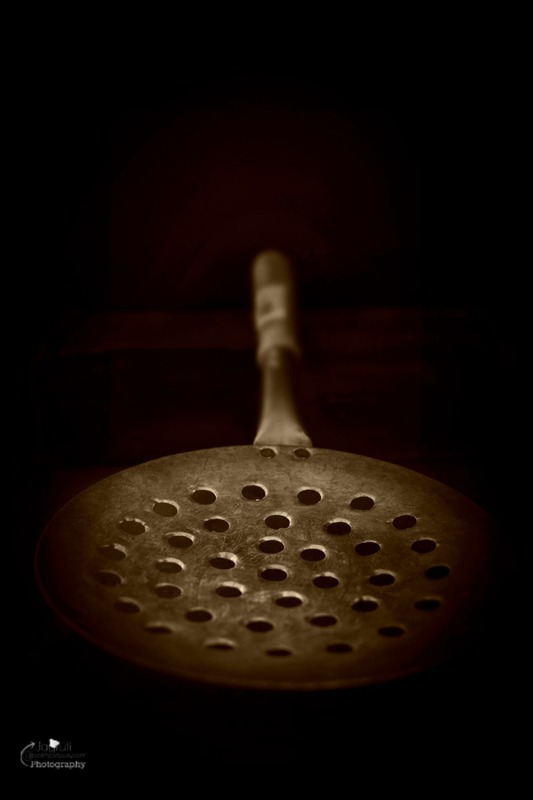 Place a fulwadi jaro direct on the kadai, be very careful, make sure kadai is stable on the burner. You will see fulwadi dough passing through those big holes and dropping in to the hot oil. As soon as fulwadi floats on the oil, turn the heat slightly low and fry the fulwadi until nice and crispy brown. Remove it with the another perforated spoon and repeat the procedure with the remaining dough. 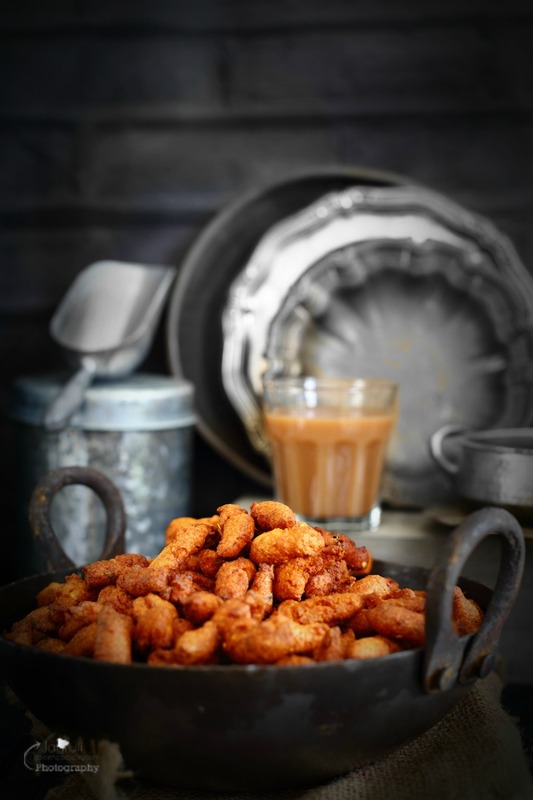 Enjoy garma garm ( Hot ) fulwadi with Churma Na ladoo. 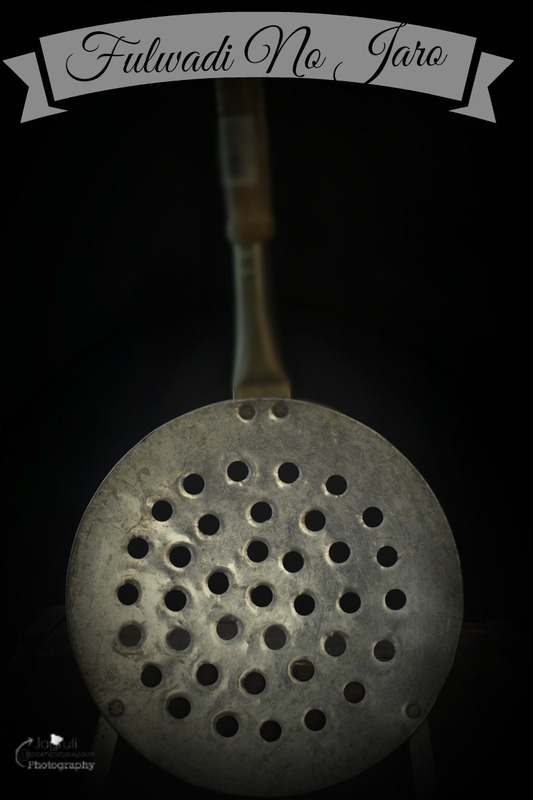 We have a family recipe that uses a slotted spoon to to make it like you suggest.... german spaetzel ! Your recipe sounds like it is packed full of flavor! Mmm... those look so crunchy! I'd love to try them hot and fresh! I have never heard of this recipe before, but now I'm excited to try it! Love your pictures! they way you made the color pop over the dar colors is gorgeous! I recently just started cooking with Besan and am pleasantly surprised!! Excited to try this! Thanks for the recipe! ths weƄsite providеs quality based content.